Archie Carroll served for 40 years (33 full time + 7 part time) (1972-2012) on the faculty of the Terry College of Business, University of Georgia. He has served as Professor, Robert W. Scherer Chair of Management, Department Head, and Associate Dean. He retired from his full-time tenured position in 2005 and was named professor emeritus in 2006. He served as Director of the Nonprofit Program from 2000 - 2012. He continues to conduct business ethics seminars for university managers. He received his three academic degrees in business and management from the College of Business, The Florida State University (Tallahassee). 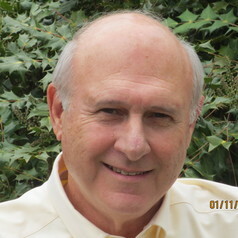 Carroll is co-author of Business & Society: Ethics, Sustainability and Stakeholder Management, (2018), 10th edition with Jill Brown, Bentley University and the late Ann K. Buchholtz, Rutgers University – one of the leading books in the field. He is co-author of Corporate Responsibility: The American Experience (2012), Cambridge University Press. This book won the BEST BOOK AWARD at the 2014 Academy of Management -- Social Issues in Management in Philadelphia. He also is author of Business Ethics: Brief Readings on Vital Topics (2009). In 2012, Dr. Carroll was awarded the first Lifetime Achievement Award in Corporate Social Responsibility (CSR) by the Institute of Management, Humboldt University, Berlin, Germany. He is a FELLOW of the Academy of Management, International Association for Business and Society, and the Southern Management Association. He is former President of the Society for Business Ethics (1998-1999) and former chair (1976-1977) of the Social Issues in Management (SIM) Division of the Academy of Management. . He has published over 100 articles in leading management journals and over 20 books including multiple editions of several. He has taught extensively in Executive Development Programs in both the U. S. and abroad. He remains actively-retired with writing projects.